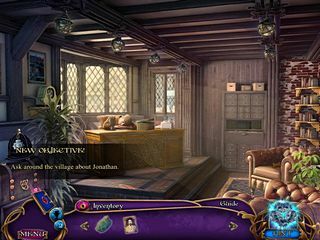 Amaranthine Voyage: The Living Mountain is a really good hidden object puzzle adventure game with a story about rescue, reputation, and relying on your knowledge to do all that is required. The game is beautiful and challenging. There are three levels of difficulty to choose from and to switch inbetween during the game. The game is a sequel to the previous release where you have found the Tree of Life and rescued the whole world. The experience was great but nobody believed you when it was over. Your students even make fun of you, but one day... and elderly man comes to you and asks for help to find his son who supposedly had found a portal before he was gone. Travelling to this parallel world is a chance to see many beautiful scenes and landscapes, so the graphics are really nice. There are three levels of difficulty to choose from and to switch inbetween during the game. There is a strategy game that doesn't follow your progress. But the map transports you where you need. Sometimes even the hint transports you if you next action area is in a different location. And you have a little helper to reach the things that you can not. 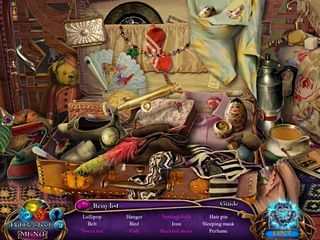 The hidden object scenes are arranged in an interesting way as to how you are given the lists. There are quite a lot of mini-games and, of course, achievements, collectibles and bonus content. The game is excellent and fun to play. Get the free version to see it for yourself! This is Amaranthine Voyage: The Living Mountain review. Download this game here.